This is quite an intriguing novel where I was not too sure of what to make of the young emotionally disturbed college girl Pen. Pen is the narrator and re-tells her life from her home town in the form of a journal that her psychiatrist has asked her to write. It is quite clear that a tragic event has happened, one in which people changed how they thought of her, and not in a good way. Aoife Clifford has stamped her identity on the book world with this her first novel. She has an unusual style of writing where the main character is not particularly a person who can take to very easily. She gives a character that is flawed and self centred with a self preservation and play on power being her main agenda. As a reader I trusted no character and was unsure what was the truth or lies. It kept me on my toes. I will be watching out for other works by this author. I wish to thank Netgalley and Random House Publishing for the allowing me to read this book in exchange for an honest review. 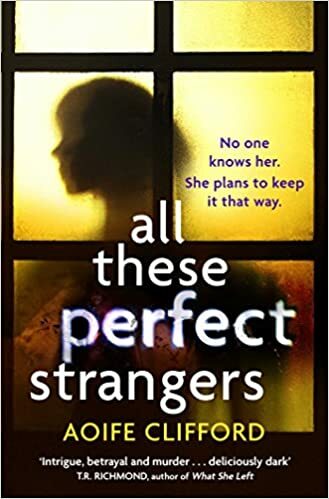 All These Perfect Strangers is Aoife Clifford’s first novel, but she has already won the two major Australian crime writing prizes in short story form: the Ned Kelly – SD Harvey Short Story Award and the Scarlet Stiletto. She was also shortlisted for the UK Crime Writers Association Debut Dagger. In 2013, she was awarded an Australian Society of Author’s mentorship for All These Perfect Strangers.